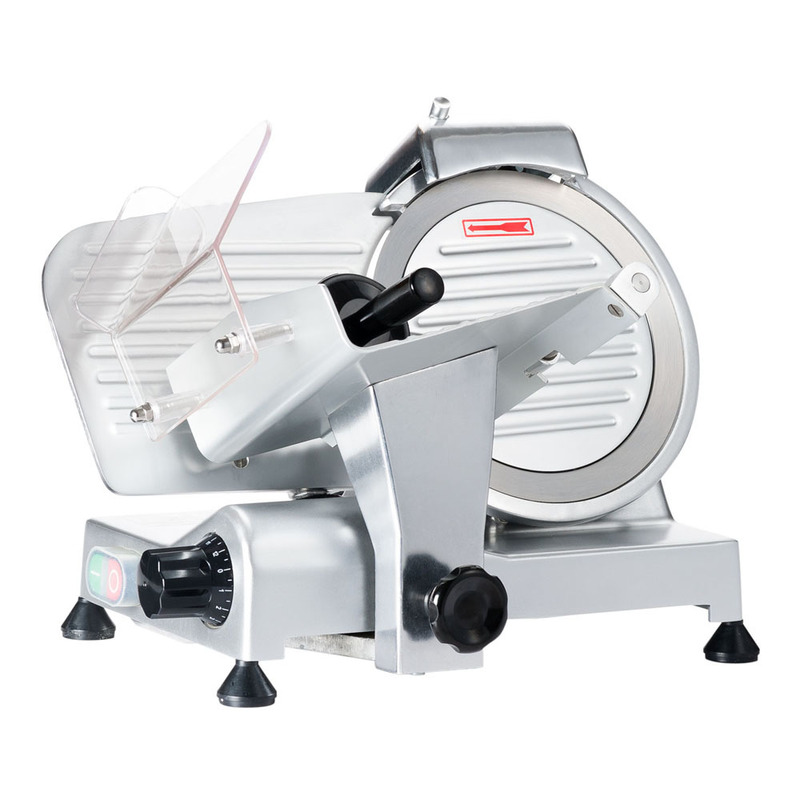 Our Big Bite 8-1/2" Semi-Automatic Slicer delivers the performance you expect in commercial grade equipment. A powerful induction motor and reliable belt drive create plenty torque for the toughest meats, cheese and breads. 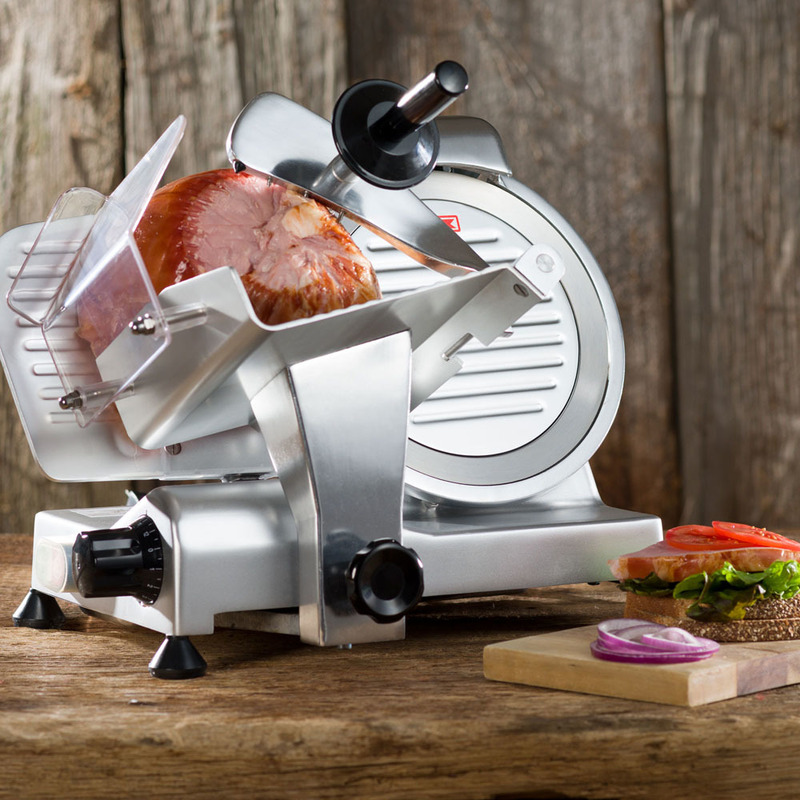 The large capacity tilted food carriage glides effortlessly across the stainless steel blade for deli quality cuts 1mm - 10mm thick. 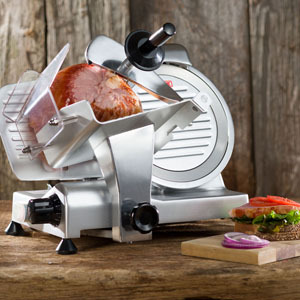 A solid metal food pusher with teeth allows for more precise control while keeping fingers safe. A graduated knob allows for customized thickness. 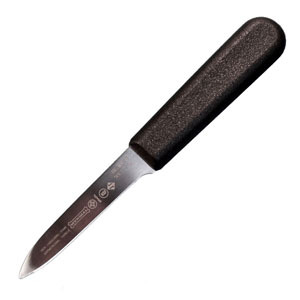 Built-in sharpener keeps the blade sharp so you don't have to. A covered on/off switch helps with clean up. Sturdy cast aluminum housing and skid resistant feet add to stability. 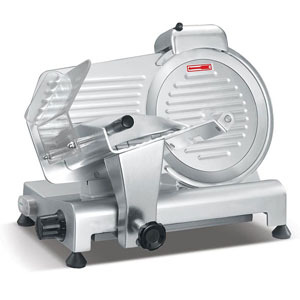 5-Year Warranty.Note: Not suitable for slicing frozen foods or non-food items. ETL Certified. ETL Sanitary Certification. Additional $6.00 shipping will be reflected in cart. 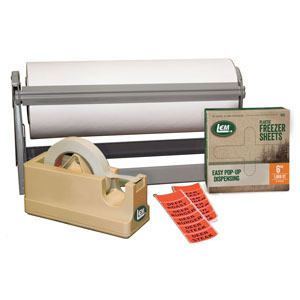 This item ships in its original packaging, which will be visible when delivered. 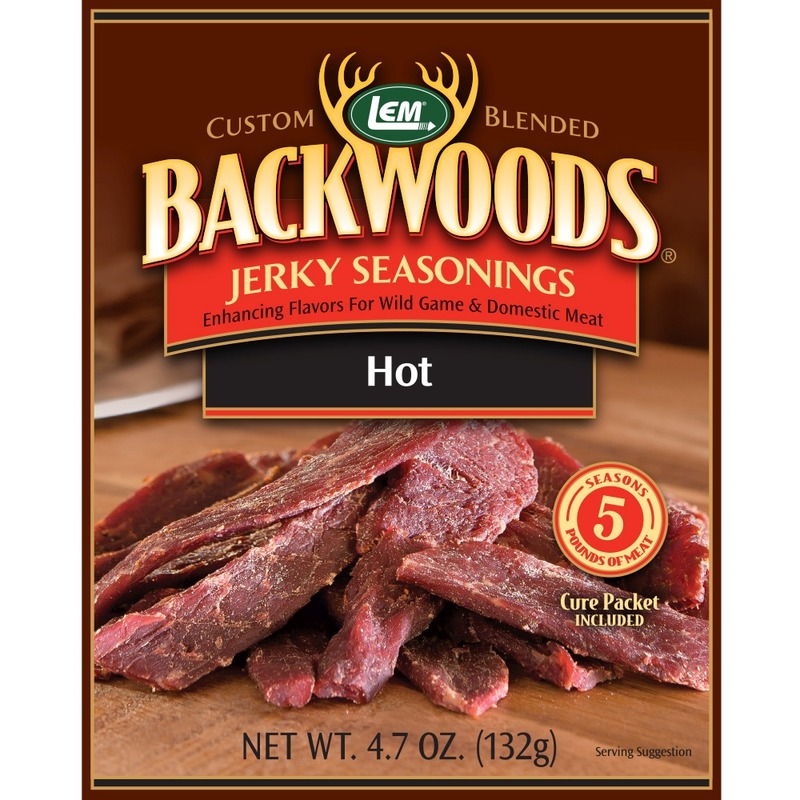 Thickness Range: 1-10 mm or .04" - .4"
Sliding Carriage: 7 1/2" x 7 5/8"
Backwoods Hot Jerky Seasoning - Backwoods Hot Makes 25 lbs. 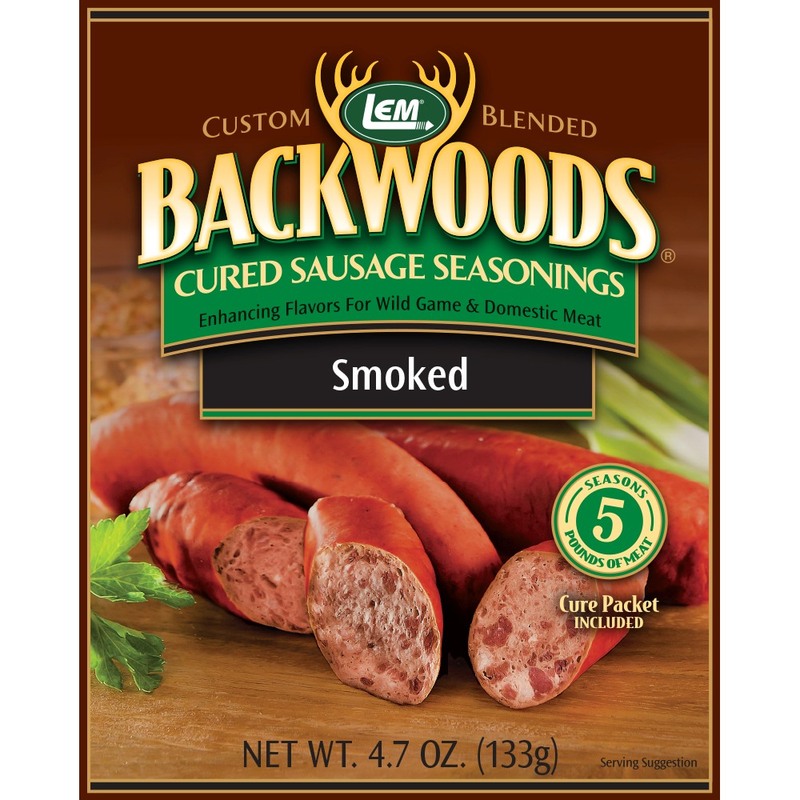 Backwoods Smoked Sausage Cured Sausage Seasoning - Backwoods Smoked Sausage Seasoning Makes 5 lbs.